By continuing on through the tunnel one arrives at the summer ski slopes. The views from the ski slopes are still very worthwhile, but generally a 360 view isn’t possible. One can happily play with and explore the snow which lies thick here year round. It is quite safe to walk around in the snow, provided it isn’t too icy and you don’t cross the obvious rope barriers marking the ski slopes. Beyond the ropes there is danger of unmarked crevasses which is often hidden, and very deep fissures in the permanent glacial ice. Also it is worth looking at the free glacier grotto at Klein Matterhorn. There are underground tunnels, rooms and ice sculptures in the fantastic blue glacial ice to explore and it has the tallest and largest glacier grottos in the world. Just walk outside through the tunnel and follow the signs to the Gletschergrotto. The lifts to Klein Matterhorn begins from the southern end of town about fifteen minutes walk from the main BVZ train station. The journey is in three or sometimes four spectacular stages and takes approximately 50 minutes each way. A rather soulless restaurant is available at the Trockener Steg mid-station where you can grab a bite. Nothing exists at Klein Matterhorn but simple bathroom facilities and a snack bar. A more charming option for food in this area exists at the restaurant Furi, situated 1864 meters up. 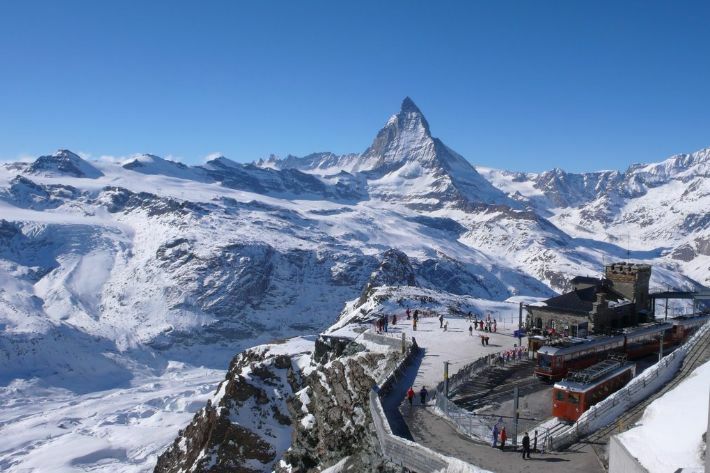 There is a slight risk of altitude sickness at the heights of Gornergrat and at Klein Matterhorn. A common symptom is shortness of breath. Less common are feelings of dizziness, nausea, and/or headache. On very rare occasions some people even faint. 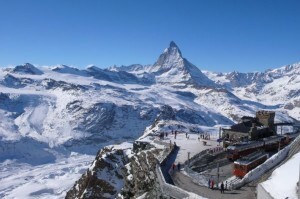 You can minimize the risk by not ascending the highest lifts on the day you arrive in Zermatt. Also avoid over exertion at high altitudes. Those with heart condition should best consult their doctor before ascents above 2500 meters. Anyone effected by these symptoms can find immediate relief by simply descending back to a lower altitude. It must be said that the fresh air of the mountains is very good for one’s health and some people return to the flatlands feeling like a Superman. 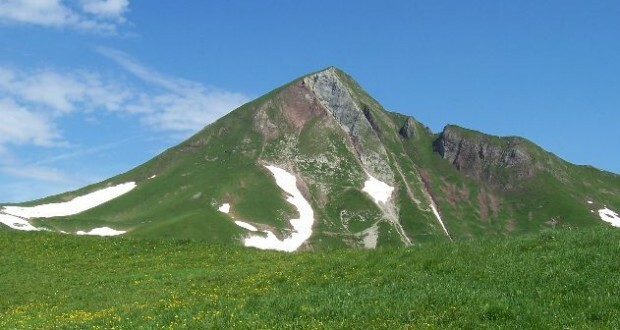 Rothorn or Unterrothorn at 3103 meters boasts it own beautiful and worthwhile panorama. Rothorn offers a perfect symmetrical view of the Matterhorn and it is cheaper to ascend than Gornergrat or Klein Matterhorn. It is also popular with paragliders. Rothorn also offers occasional dawn breakfasts with a brilliant sunrise view of on the Matterhorn. However Rothorn offers less spectacular views of the summer snows and glaciers than from the Gornergrat or Klein Matterhorn. It is strongly recommended that you take a few things with you when you trek high up into the mountains, including: a camera, something to eat (such as delicious Swiss chocolate), sunglasses, sun block, an extra sweater or sweatshirt and a windproof jacket. It is not unusual to feel very warm in the mountains when it is windless and sunny. It can be quite cold and windy at high altitudes, even if it is warm and calm in Zermatt. So when ascending to higher altitudes, it is best to be prepared.